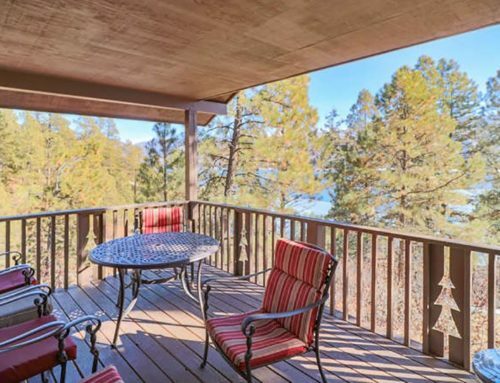 This cozy three bedroom has a nice view of the lake and the playground. It has three queen beds with one and a half baths. Small living room and dining area. The level entrance makes it easier for some of our guests. The deck has lots of room for sitting outside and taking in the views. (700 sq. ft.).